You might have been waiting all summer for that perfect sunny day, but in the U.S., those rays have turned into a scorcher. With America currently experiencing the hottest summer on record, some of us are wishing for a cooler front. What better time, then, to dream about the Southern Hemisphere, which is going through its winter months? While it may not be easy to book a last minute getaway to these destinations, just lusting over them will hopefully cool you down. Venezuela is mostly tropical due to its location just north of the equator, but thanks to its varied geography, pockets of microclimates exist. One such area is the Guiana Highlands, a southern region of the country characterized by imposing plateaus and vast upland plains. From June to early September, the average temperature hits 50 degrees Fahrenheit during the day and 35 degree at night, making this the best time to visit the Angel Falls in Canaima National Park. Renowned as the world’s highest waterfall at 3,212 feet, winter’s torrential rains causes the rapids to swell to their full glory. However, if storm clouds shroud your view, Canaima, a UNESCO World Heritage Site, is a destination in itself, with impressive geological formations and lush greenery. Australia ’s Northern Territory is a wide swath of land running vertically from Darwin, its capital city, down to the continent’s desert heartland of Alice Springs. While summer temperatures soar to almost 100 degrees Fahrenheit, they drop down to between 30 and 70 degrees from June to early September. This allows for a comfortable getaway to Kakadu National Park, a World Heritage Site thanks to its abundant wildlife and links to Aboriginal culture. 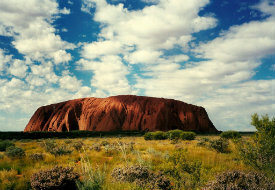 The state’s crown jewel, however, is Uluru, or Ayers Rock, a natural sandstone monolith and World Heritage Site. Soaring 1,142 feet high with a circumference of 5.8 miles, this majestic formation holds deep religious significance with the Aborigines, reflected by the ancient cave paintings that dot Uluru’s red walls. Scorched by the sweltering sun in the summer, South Africa’s Northern Cape cools to a balmy climate from June to early September, averaging in the mid-70s during the day and low 20s at night. This makes for a pleasant getaway to Kgalagadi Transfrontier Park, a 3.6 million-hectare wildlife reserve that straddles the border between South Africa and Botswana. 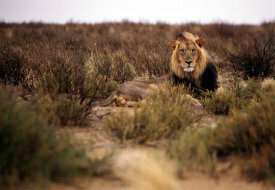 Home to a large variety of animals like the rare black-manned Kalahari lions, springboks, and Pygmy falcons, the park allows visitors to get up close to these creatures in their natural habitat. Once night falls, stay at one of the park’s luxurious wilderness camps, which are unfenced for a truly immersive experience. Had enough of the surf? 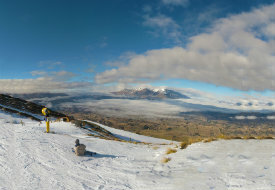 Then check out New Zealand, where ski season is in full swing from June to early September. Renowned as an adventure sports capital among majestic mountains and breathtaking scenery, this country’s ski slopes are full of powder by early June, and last all the way till late October. Head to Coronet Peak in Queenstown, New Zealand’s premier winter holiday destination, which boasts ski runs for all abilities and weekend night skiing. For the back country skier, Mount Ruapehu on New Zealand’s North Island offers some of the country’s most natural skiing terrain, with massive basins, steep chutes, and sharp drop-offs to keep you on your toes (and skis). See our Venezuela, Australia, South Africa, and New Zealand destination guides for more trip-planning information, then use our Travel Search price comparison tool to find the lowest rates on flights, hotels, vacation packages, and more travel deals.